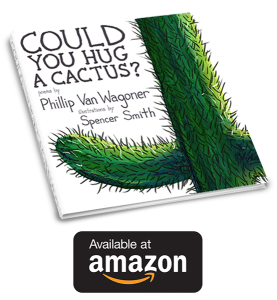 My first collaboration with Spencer Smith, “Could You Hug a Cactus?” is a collection of poetry (by me) and art (by Spencer) meant to make you laugh, and feel, and ask yourself the question, “Am I capable of loving something even when it’s difficult?” Our goal with the book was to make something special, a book that looks, reads, and feels like a classic and we are so proud of the way it turned out. 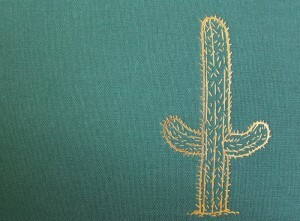 The physical book is hard-cover, wrapped in green fabric with gold foil. We wanted to build a book that feels special in your hands and has a long lifespan – something that can stand up to countless readings now, and hopefully stay in the collection for the next generation. 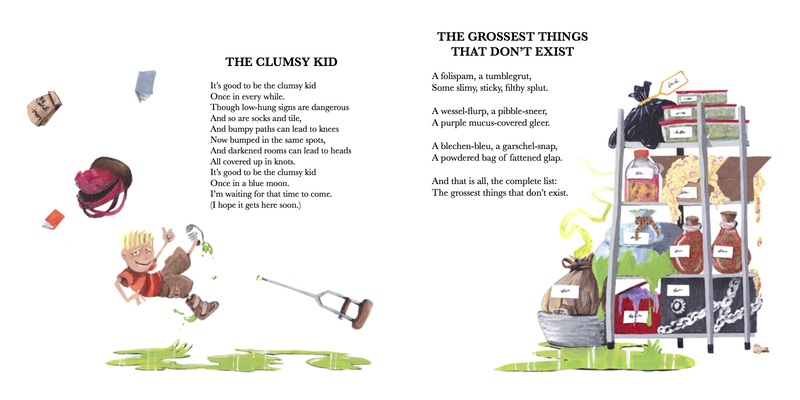 The poetry for the book revolves around a theme of identity, imperfection, and our ability to love. 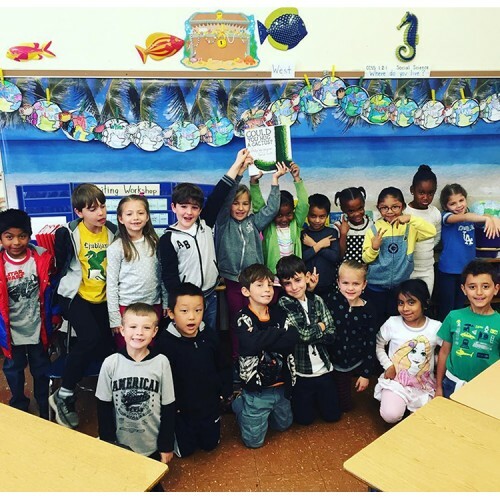 It was just as important, though, that the book be funny and entertaining and something kids (and their parents) want to pick up over and over again. 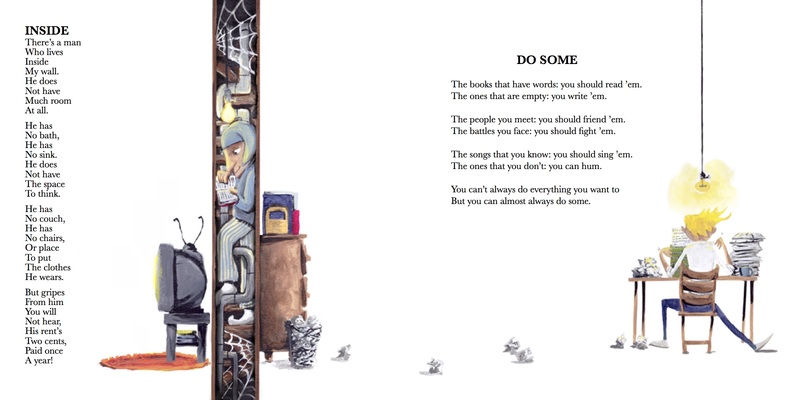 If a book isn’t being read, it doesn’t matter what the message is – so creating something engaging was paramount. 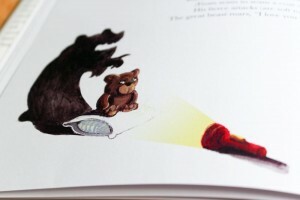 Spencer’s art for the book, originally hand-painted in acrylic, stands out among a sea of children’s books with digital illustrations. You can often see the paint strokes in the work, and these kind of details are a strong reminder that this book was crafted to communicate a story. 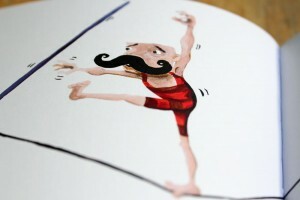 The hand-painted art makes the book feel personal. 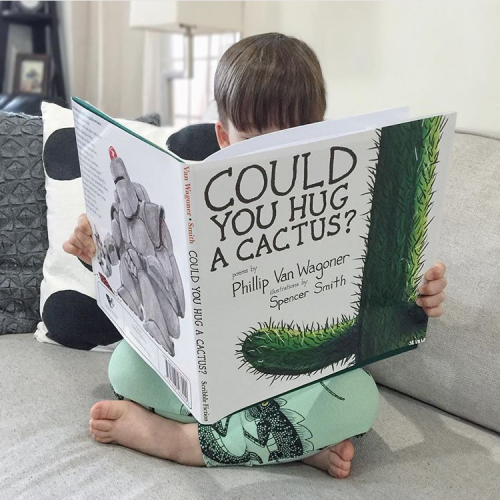 Since it’s release on March 8, 2016 – “Could You Hug a Cactus?” has received an overwhelmingly positive response from kids and their parents. Spencer and I have been really moved by the incredible comments and pictures of kids and classrooms enjoying it. We’re enormously grateful that the book has received the warm welcome we had always hoped for, and we look forward to getting to work on the next one! 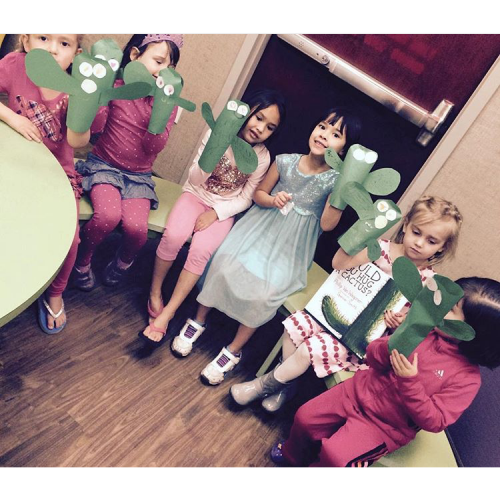 Update: In October of 2016 – Could You Hug a Cactus? 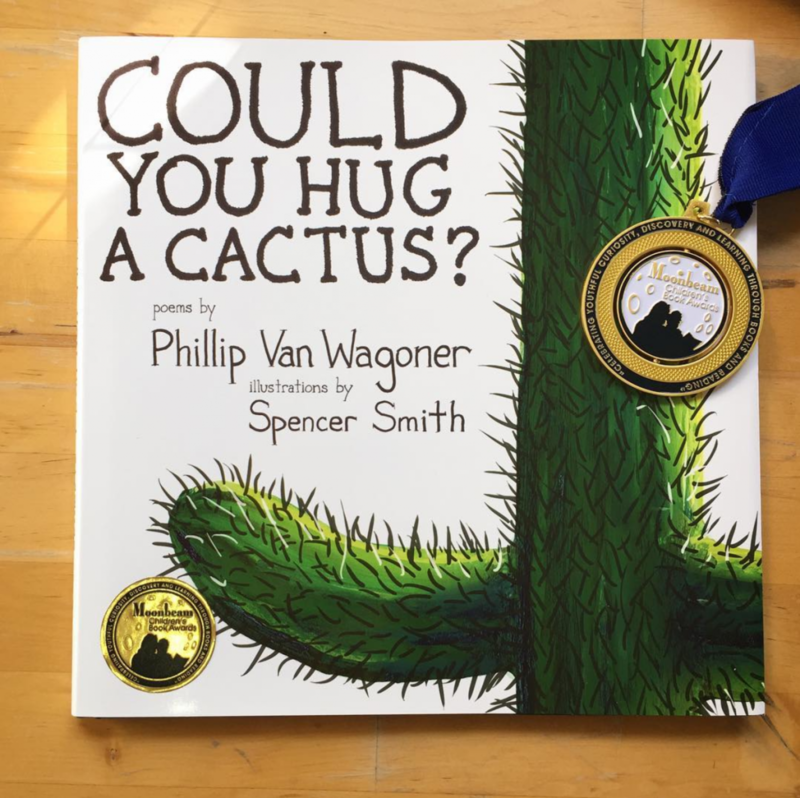 won the 2016 Moonbeam Gold Medal in Children’s Poetry! It’s an incredible honor to have the book recognized and we’re working hard on #2! 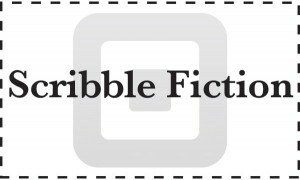 • Jen at RealMomOfSFV writes “I loved to read books as a child. 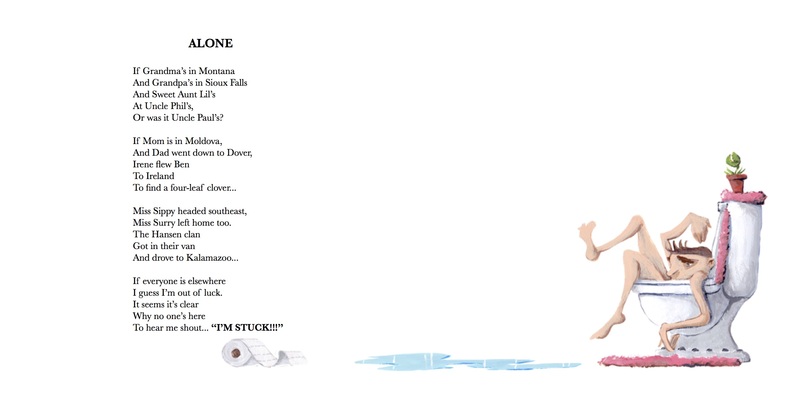 It was while I was in elementary school that I discovered Shel Silverstein’s “Where the Sidewalk Ends” & “A Light in the Attic.” My imagination soared as I read his playful poems & drawings.